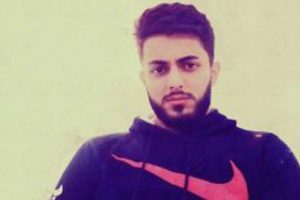 Editor’s Note: The story of Minoo’s expulsion from Semnan University was previously reported by Iran Press Watch. We’re now pleased to share in translation the following account by her. 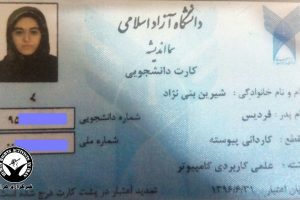 It should be recalled that Minoo Shahriyari was a student of economics at Semnan State University and was expelled for being a Baha’i on March 1, 2009. Her dismissal was solely based on her religious belief. The following is the account of her ordeal. A final word from the Editor appears at the end. As I entered the university, the atmosphere became tense. I was told that I had been expelled due to being a Baha’i. Yet, this last visit to the university became memorable. This time the teaching vice president of the university had a different look. He respectfully greeted me and my father and handed my documents to me. He had not ordered my expulsion. He only had to carry it out. The implications of this order affect all aspects of my academic career. Perhaps carrying out this order was not easy for him either. Is it possible that the conscience of any decent Iranian would accept the expulsion of any student for her faith? Doesn’t the teaching vice president privately ask what threat this girl poses to the university? What had this girl done which was against the laws of the Islamic Republic? If I and the other Baha’i students do not pose any threat, who should be defending us? Who would be better than the faculty and educators within universities? How did you remain silent, and how did you kill my academic life? Are you really proud of your service? Your denial of the right to education to young Baha’is and others contradicts the proud history of our ancient country. How can it be explained to people around the world, and to inquisitive youth, that the authorities who deny this right consider themselves followers of Islam? How would you answer history? More important, how will you answer God? It is up to readers of history to judge. It is up to the children of the teaching vice president of Semnan University to judge. It is up to true children of Iran to judge. It is up to you. Isn’t Imam Hussein our example? What is his message for you and me? What do we think about every Muharram? Did he close his eyes to truth? Did he sell his dignity for a low price? Did he sit and cry over injustice or did he stand up? Fourteen centuries ago Imam Hussein not only did not carry out unjust commands, but He stood up against injustice, foregoing wealth, pride, His children, and life itself. He hoisted the banner of justice against the heights of darkness and prejudice. Now, what is the true character of a follower of Hussein? Will your tears mean anything this Ashura [commemoration of the death of Imam Husyan]? Yesterday, my wish was to be admitted to university. Today I was expelled from the university, and I may never be able to study at a university. Today, however, I have another wish. Today, in every corner of the world, the scourge of injustice has scarred millions of oppressed souls, and has raised their cries of pain. My hope is that first, every Iranian man and woman will condemn any injustice, and then, that they bravely refuse to become tools for carrying out unjust orders. My hope is that whatever we preach about justice, and whatever we read in books about justice, will one day be realized in Iran. I am fully aware that I cannot do this by myself. Today, everyone should strive to bring about justice. Editor’s Reflections: The complexities of the moral issues in such stories and questions are immense. In a way, the oppressed person can relax, because he or she is the object of forces she cannot avert or deny; the person with the real dilemma is someone like the university administrator, who has a choice either to abet the regime or to refuse. Refusal is very difficult, as it puts one’s self and one’s family at risk for the sake of someone who has a completely different belief system. Such a person risks becoming a complete outcast, hated by everyone they know, by all their friends and family, for the sake of someone whom they don’t know. At least the Baha’is are respected and loved by family and friends for their steadfastness. Such dilemmas tear people, and societies, apart. Iran Press Watch welcomes reflection by its reader on this issue. There are laws in every country that regulate almost everything we do, but the degree governments legislate controls on freedom of conscience vary. Iran appears to be a country that has attempted strong legislation on what is acceptable belief, whether or not this belief is harmful to the greater society. And as a religious state, the IRI looks at religious orthodoxy as a litmus test for its legislation, and this legislation extends to nice people who are only following orders. It may be beneficial if the IRI legislators would consider if it is anti-Islamic to allow more freedom of conscience for religious and unreligious minorities, and if doing so would contribute to the greater good of Iran? Is it possible that if people are not being persecuted, they will help build a nation. Historians agree that the worst thing that every happened to Spain was the Inquisition and the expulsion of the Jews and Moslems. It devastated Spains’ economy and only recently Spain has recovered. I hope that the IRI will look at history and make the decision to be kinder to its minorities, since not doing so may have detrimental and unexplaine after shocks. Clarification is that detrimental and unexplained after shocks are the result of the loss skilled and talented human capital and the stifling of creativity (often the domain of the people who dare to be different). My sympathies are with you, my own heart breaks for you. Thank you for sharing your story. 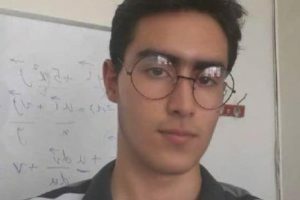 The denial of education to young Iranian Baha’is is nothing but a short-sighted attempt to strangulate the community of Iranian Baha’is. It is apparent from your written account that the government of Iran is only depriving itself of a willing talent. Such a wrong as this cannot be long supported by a healthy nation.